After building a system for the U.S. Marine Corps (MC-LEAP), we supported the design and build of another system (CAN-LEAP) modelled in the same fashion. This met the Canadian Armed Forces’ need to quantify the effects of soldier loads on performance. 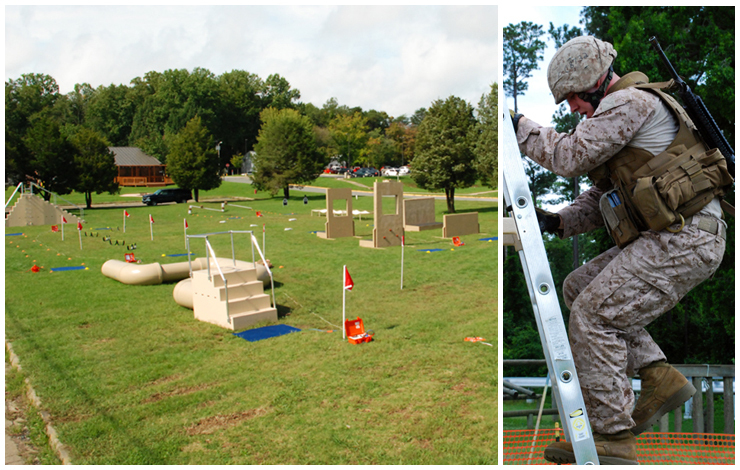 This instrumented obstacle course with accessory combat task stations was used to explore the effects of different worn or carried loads on soldier mobility and combat performance (e.g., varying loads, with different rifle weights, while wearing chemical and biological protective clothing). The CAN-LEAP was shown to be a valid and reliable measurement tool that showed meaningful differences in combat mobility and performance under varying load conditions. The Canadian Armed Forces now has an excellent way to understand the impact of the loads that soldiers must carry and can adjust as necessary to find the right balance between performance and load. Knowing how workers perform under varying conditions is critical to protecting their safety and well-being.